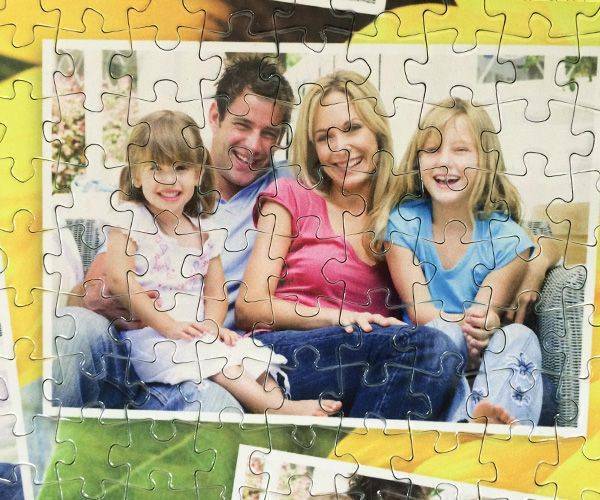 Personalise the photo collage with photos of your choice to create a 500 piece photo collage jigsaw! 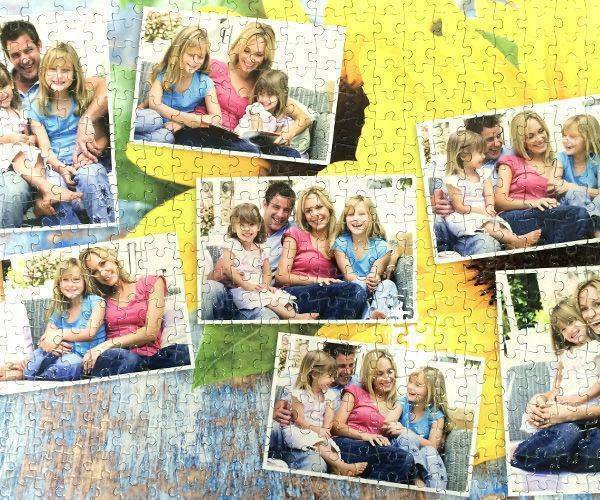 Photo collage with a background and seven photos of your choice will be great photo gift for occasions such as Valentine's day, Christmas or Birthday! 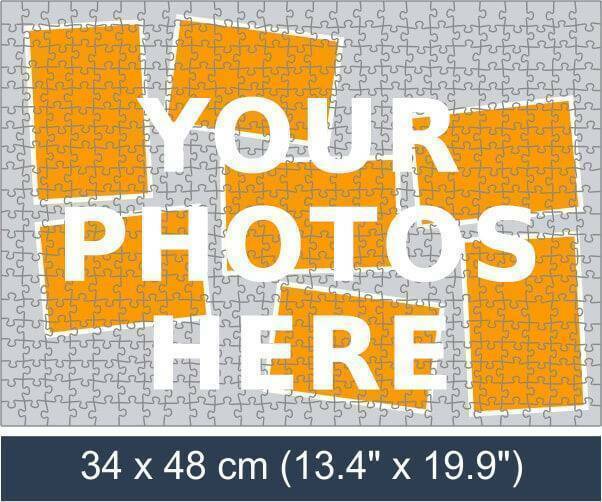 Simply pick a template with a background upload photos of your choice and we will turn this photo collage in to a 500 piece jigsaw puzzle! 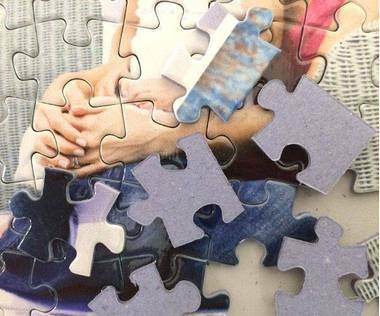 If you want to make the most you can out of your favourite pictures, then a 500 piece collage photo jigsaw puzzle is going to help you out. You can choose your favourite 7 and turn them into a jigsaw that can then be turned into a wall hanging. 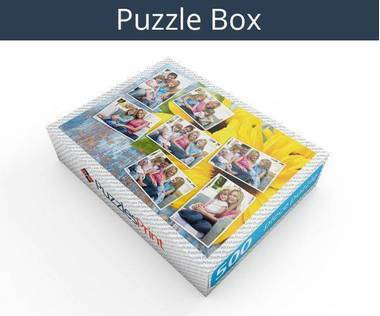 The idea is that you can firstly have the pleasure of putting together the jigsaw and then rather than just break it up and put it in the box again, it can be permanently on show. Once you have selected the photographs you will be using you can be sure that they will appear just as you have placed them. The location won’t be altered and they won’t be cut in a way that cuts parts off. 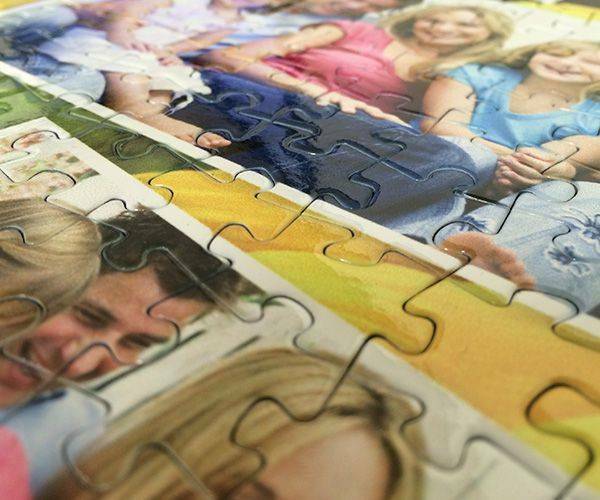 500 piece photo collage jigsaw can be used as both a puzzle and a way to remember the good times. Important events don’t have to be stuck in an album or left on a computer – they can become part of your everyday life. The 500 piece photo collage jigsaw once fully assembled measures 13.4”x 18.9” and will be a great size to mount on the wall. It will mean that it needs to be stuck together so will no longer be a jigsaw but the joy lost in making it up again will be tempered by the fact that it is always going to be on display. If you have not had a collage photo jigsaw puzzle before you may worry that the pieces will not be of a good enough quality to make the pictures look great. This is far from the case and specialist equipment is used to make sure that the edges are right and the cut is clear. Pieces will fit perfectly and as they measure just 0.69” x 0.75” they will be close enough to give excellent clarity. Ordering is simple and even for those who are not computer experts find that the instructions are easy to follow. Pictures get uploaded and put into the place required. They could be random or follow a specific pattern such as each one showing the child a year older, but the choice will be yours. The pieces are made of cardboard and the pictures on the jigsaw are reproduced on the lid.